It was in the afternoon. 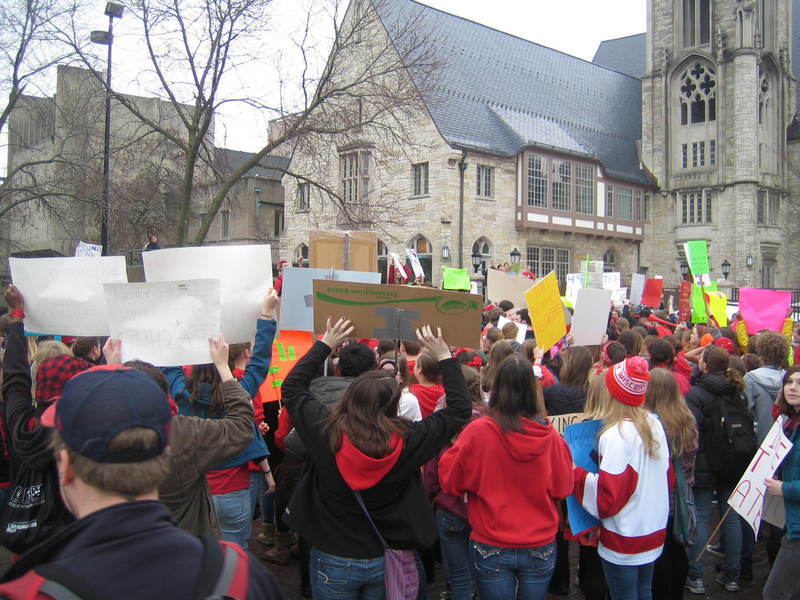 I saw a big crowd of students gathering at the chapel. Someone was speaking to them and organized a student protest. Tang, Jacky, “high school students participating,” Wisconsin Uprising Archive, accessed April 21, 2019, http://wisconsinuprisingarchive.org/items/show/194.